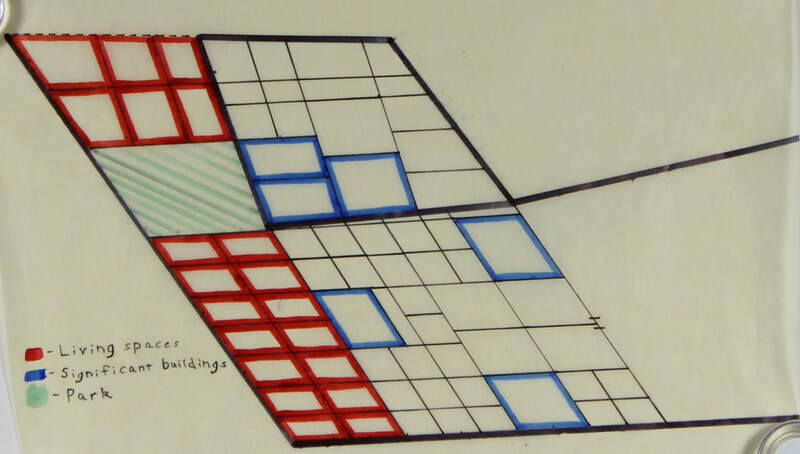 ​This layout is of my building from our John Hejduk project, meant to be built for a repairman.I was suppose to make a house for him or modify the house that was meant for him and create different set of drawings as shown up top.A site plan,floor plan,section,and kind of an elevation. I was suppose to elaborate more on how this house, for the repairman was going to be, it was suppose to be a clean and, professional drawn out plan that would eventually turn into a real building, that I would have to construct. They reconnect drawings for the buildings that would be built in to the section's of our district, they are suppose to be easy quick looking drawing for multiple idea's. this model is basically a representation of how one of my buildings could look like, for a fire station and a police dept. collaboration. Its simple easy and a quick model not meant for detail. this is a sketch within my sketch book which is basically a drawn out form of how my living area would look like,its meant for me and others to understand what it suppose to look like. this is also a quick sketch concept for my district and ow its going to be with roads and building in it,I wanted it to be quick and simple for easy understanding without complexity. this is a more detailed drawing that has more of what would actually be going into the sections of our area. The final phase of the project was the most crucial for our project, it was kind of the make you or break you moment.For this project I had to come to an understanding that I needed to work hard and keep from distraction, so that this project of mine and the class would grow into something more. 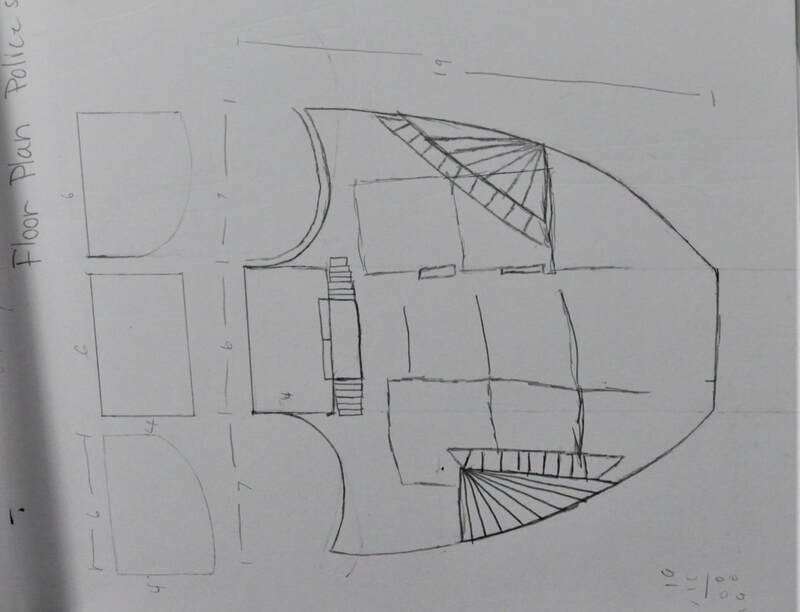 ​ The images to the right represent the designs and the detailed layout of my building. It was a some what difficult and at the same time easy task, I say this because, I had to make sure that all of my measurements,floor plans,site views, etc, were understandable and presentable. These drawings and images are what helped me lead into my completion of my project. they are the many Ideas that were that over,destroyed, or made better to expand my project and make it greater. 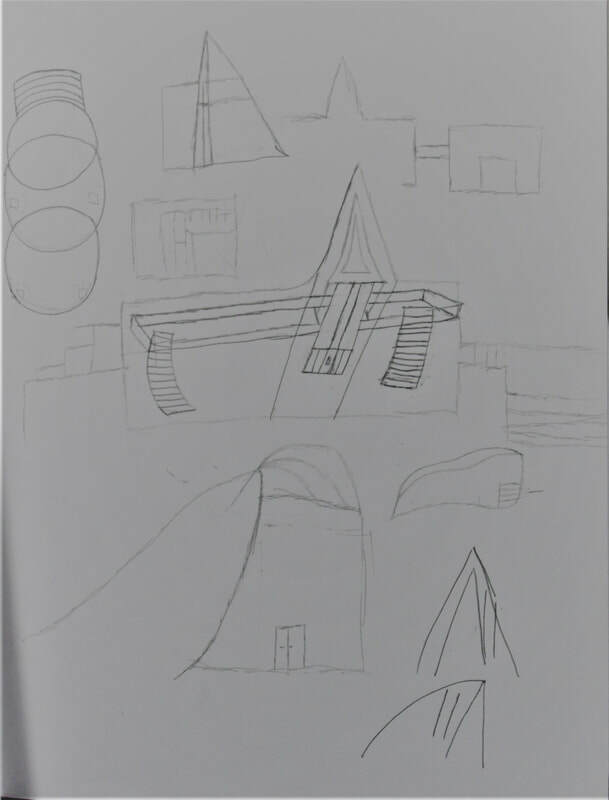 As you can see to the right and left, there was a lot of thinking for this building of mine I was creating, I was trying to create multiple Ideas about my building and finally sketched a drawing that peaked my interest.